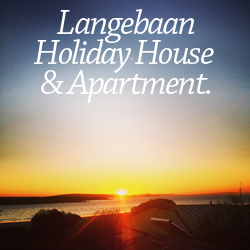 Things to do in Langebaan. Why not pamper yourself whilst your partner is off enjoying themselves on the Lagoon. The Skin and Body Clinic is conveniently situated in Langebaan on the West Coast. At the heart of the Skincare Clinic is a highly qualified Somotologist, Santi Blom (SAAHSP, CEDESCO, ITEC, BABTEC) who is dedicated to provide the ultimate personalized care combining love, passion, healing and commitment with every treatment given. The Simply Beauty Skin and Body Clinic offers Ozone Sauna Steam treatments that has been proven to help with……. Escape from the hustle and bustle and treat yourself to a pampering experience at our Zest Spa, which offers a complete range of treatment options. Treat yourself to a luxurious and rejuvenating experience, such as relaxing in the sauna, the O-zone bath, a professional massages or a variety of beauty treatments to mention but a few. The internationally qualified beauty therapists are ready to dissolve all your stress away and leave you feeling pampered and looking beautifully preened. West Coast National Park opens its gates. Self catering 1 minute walk from beach.